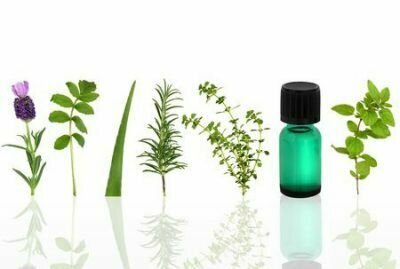 Action: Antifungal, antibacterial, antiseptic, antiparasitic, stimulant, analgesic, antidepressant, astringent, carminative, cephalic, cholagogue, cordial, digestive, diuretic, emmenagogue, hepatic, hypertensive, nervine, rubefacient, sudorific, tonic. Benefits, Indications: Rheumatism, arthritis, myalgia, hepatitis, liver conditions, menstrual disturbances, hypertension (weak doses), hypotension (strong doses), dyspepsia, bronchitis, respiratory and lung infections, hair loss (alopecia), asthma. Improves concentration and stimulates the scalp. More Info: Rosemary oil has a pronounced action on the brain and central nervous system and is wonderful for clearing the mind and mental awareness, while having excellent brain stimulant properties, as well as improving memory. It helps with headaches, migraines, neuralgia, mental fatigue and nervous exhaustion. The antiseptic action of rosemary oil is especially suitable for intestinal infections and diarrhea, easing colitis, dyspepsia, flatulence, hepatic disorders and jaundice and relieving pain associated with rheumatism, arthritis, muscular pain and gout. It also helps arteriosclerosis, palpitations, poor circulation and varicose veins. The diuretic properties of rosemary oil are useful with reducing water retention during menstruation, and also with obesity and cellulite. On the respiratory system, it is effective for asthma, bronchitis, catarrh, sinus and whooping cough. Because of its astringent action, it is also effective for countering sagging skin. Its stimulating action benefits scalp disorders and encourages hair growth. Precautions: Rosemary oil should not be used during pregnancy and is unsuitable for people with epilepsy or high blood pressure.